Stands for new parts, literature, model cars, maintenance materials, tools etc., 31 € per sqm, standard depth is 3 meter. Stand width of your choice according to availability. Only walled stand areas. 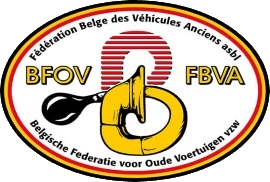 Vehicle sale space for classic cars (value from 10.000 €), 315 € per car. At these positions, fixed carpet is placed in a uniform color. 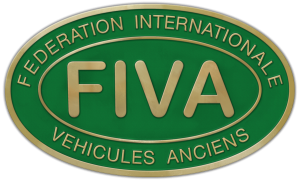 Vehicle sale space for classic cars (value op to 10.000 €), 159 € per car. Stands for new parts, literature, model cars, maintenance materials, services etc., 36 € per m², standard depth is 3 or 5 meter. Stand width of your choice according to availability. Only walled stand areas. The walls are covered with a black fabric cover. On the stands is fixed carpet in a uniform color. There is uniform LED lighting. Module A – 9,00 x 4,50 meter or 40,50 sqm. with space for approx. 3 cars (depending on the size), including black carpet, low walls or plants (height 100 cm) as a divider from neighbouring stand, 37 € per sqm. Module B – 10,00 x 6,50 meter of 65 sqm. with space for approx. 5 cars (depending on the size), including black carpet, low walls or plants (height 100 cm) as a divider from neighbouring stand, 37 € per sqm. Module C – 10,00 x 13,00 meter of 130 sqm. with space for approx. 10 cars (depending on the size), including black carpet, low walls or plants (height 100 cm) as a divider from neighbouring stand, 37 € per sqm. High structures (walls, etc.) are not allowed on these stands. Only roll-up banners of max. 100 cm width and 200 cm height are allowed. The organization provides a uniform warm LED lighting in the entire hall. Own lighting is therefore not necessary. Electricity on the stand area, technical inspection included. Alle prices exclude VAT. Transfer of the VAT is possible if the foreign exhibitor is in possession of a VAT number of his country. You can also book a stand online: click here for the reservation page.